in apartment complexes and low-income communities, has become an independent organization. Still partnering with local churches and VisionOhio, the new corporate standing of SEEDNet includes a board of directors who meet four times a year and regional leaders who meet periodically to ask “50,000 foot questions” that focus on the movement and nurture those in the leadership positions. SEEDNet began under the umbrella of VisionOhio, a Grace Brethren regional church-planting network that helps catalyze local churches to plant other churches. 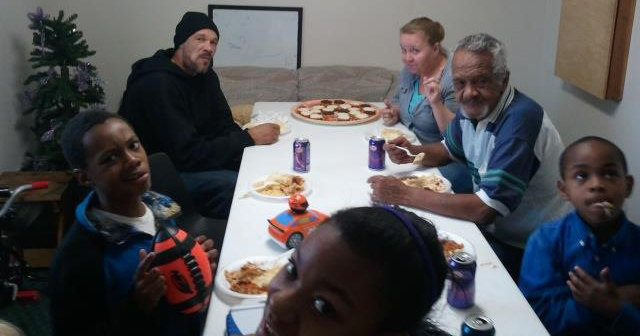 In 2006, VisionOhio member Nathan Wells (then serving as the youth pastor at Ashland Grace Brethren Church) gathered a few others to start intentionally building relationships with the adults living at a low income community nearby. Eastgate Bible Church, the first apartment-complex congregation, grew out of that initiative. “God put on my heart to keep planting churches,” explains Wells. “Specifically in spiritually, emotionally, economically, and developmentally oppressed areas (SEED). The people living there aren’t just surviving hard times, their lives are oppressed. They are oppressed by their own blatant sin, by fear, godless- ness, brokenness, sadness, anger, poverty, and addiction,” said Wells. SEEDNet currently has congregations in ten different apartment complexes from Cleveland to Columbus. They have already been approached by apartment owners and asked to plant churches in more than 300 multi-family dwellings throughout Ohio, a challenge they have tackled head-on.